Los Cabos is not a major beach destination, as much of the coastline features cliffs and rocks; the water is also quite deep. But there are still plenty of opportunities for water activities, and even more land-based excursions to try in Los Cabos. 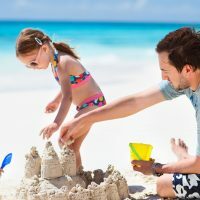 Grab a snorkel or a bike and a camera and set out on one of these amazing family excursions and tours in Los Cabos, Mexico. 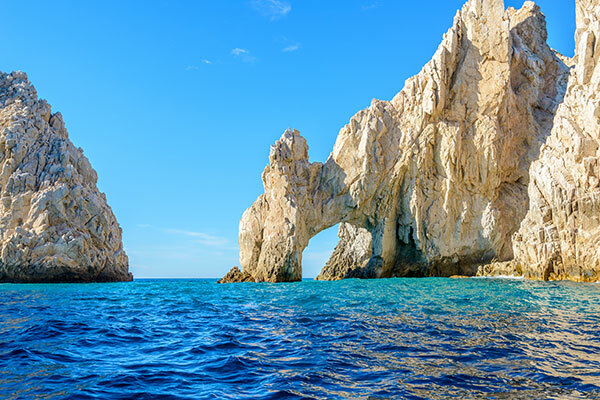 A trip to Cabo would not be complete without visiting the Arch. Located at Lands End, the natural rock formation can be found at the southern tip of Cabo San Lucas, where the Pacific Ocean and the Gulf of California meet. El Arco was created from natural erosion and is now considered a landmark of Los Cabos in Mexico. 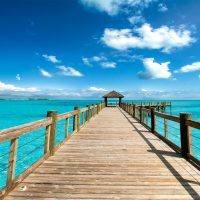 While it’s possible to see the arch in the distance from some resorts and along nearby Lovers Beach, seeing the Arch from a boat is your best bet. Families will easily find boat tours, glass-bottom boat tours, kayaking and snorkeling excursions that take visitors to El Arco for a better look. Teens and young kids may be underwhelmed by El Arco, but it’s still a Mexico landmark to see, and your teen will thank you after they are able to post a cool photo of it to Instagram. A Cabo snorkeling excursion for families is an excellent choice because it often gives families a little bit of everything wrapped in one excursion. The catamaran boat with Pez Gato snorkeling tours includes a trip past El Arco for a photo opportunity and then an hour boat ride to a snorkeling alcove. On the boat, which can accommodate more than 50 people, there are restrooms, beverages (alcoholic and non-alcoholic), snacks and lunch and the snorkeling gear is included. Kids will love jumping off the boat into the blue waters. With life jackets on, it is easy to spend quite some time admiring the fish under the water. While this snorkeling boat tour is family-friendly we don’t recommend it for babies or toddlers. Pacific Gray Whale season in Cabo generally runs from about January through March. The whales take their own family vacation and migrate from Alaska to give birth in the warmer waters during this time. Families will love to take a boat tour out into the Pacific Ocean to try and catch a glimpse of the 40-foot-long water giants. 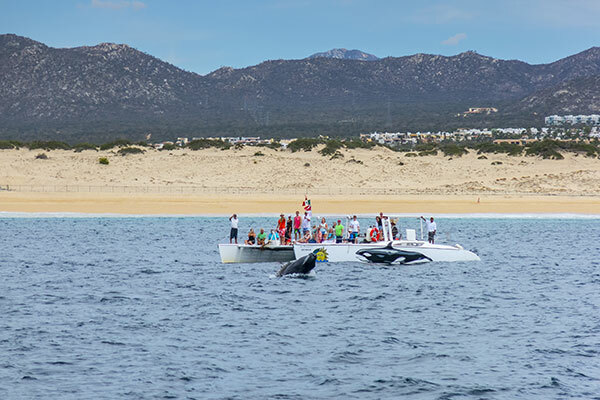 Seeing a calf would be even more exciting for families on this Cabo whale watching excursion. 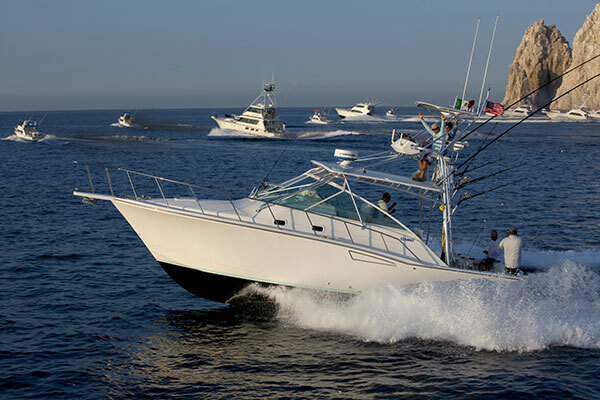 If your family enjoys fishing, why not take it to another level and fish for marlin during a family sport fishing excursion in Los Cabos? It doesn’t matter if you are a seasoned fishermen or if it’s your first time trying the sports — all families are welcome. 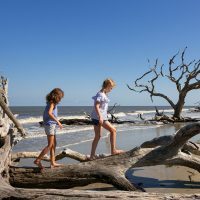 A fishing license is required so it’s best to charter a boat, which will supply everything you need for a day on the water. After some time on the water (or if your family is not a fan of water), head out to the desert to see what critters and creations can be found on a Los Cabos family excursion. A desert tour is a unique opportunity to see the drier side of Mexico. Hiking, biking, ATV and Jeep desert tours, guided or non-guided, are great ways to see the desert. Don’t forget to bring protection from the sun and plenty of water, though, because the desert is no-joke hot in Cabo! 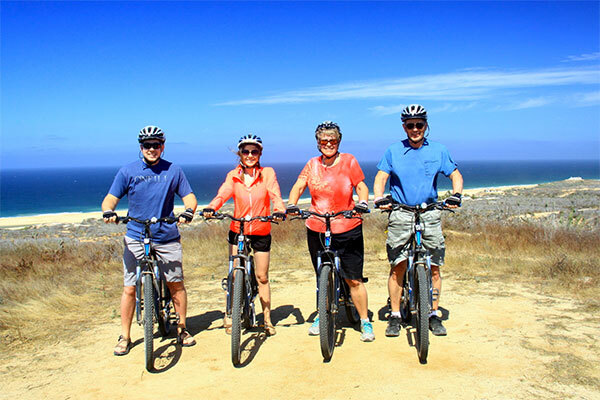 A mountain bike tour through the hot Los Cabos desert is ideal for families with teens who may be seeking adventure. The cactus-lined dirt trails are perfect for any skill level so kids and adults can easily navigate the ride. It depends what bike tour your take, but many end with a Mexican fiesta at Rancho San Cristobal, just outside Cabo. The tours are guided by experts who are happy to point out Cabo’s unique ecosystem along the way. Bikes, helmets and gloves are provided. If you are looking for more speed during a desert adventure, try an ATV tour as a family excursion in Cabo. The four-seater, all-terrain vehicles are safe and easy to drive. Families will explore mountains, beaches and desert lands from the vehicles. Expert tour guides easily explain the sights and nature that fills the Cabo desert on this family excursion. Children under 5 years old are not permitted in the vehicles, and drivers must have a valid driver’s license. The kids will literally jump with excitement at this Los Cabos family attraction. The reverse bungee system has jumpers harnessed in and attached to bungee cords while jumping on one of four trampolines. Kids can get as high as 20 feet in the air at Baja Bungee! Teens will love to do tricks and flips, but little kids as young as 3 will also love hopping on the trampoline.